As relations between Grenoble Ecole de Management (GEM) and China continue to grow in importance, join us for a first ever off-site 30th Anniversary Alumni Event in Shanghai, China: A unique occasion to mark your school's 30th anniversary and the 50th anniversary of Sino-French relations. Learn more about this event and our efforts to continue developing collaborative opportunities in China. 2014 is the 30th anniversary of Grenoble Ecole De Management (GEM). This year also marks the 50th anniversary of relations between China and France. Starting in the early 1990s, GEM was one of the first French business schools to sign agreements with Chinese business schools, listed companies and local government bureaus. There are now over 3,000 GEM alumni working or living in China. As a part of its mission to serve the needs of business, and thanks to its recognized excellence in Technology and Innovation Management, GEM is expecting and exploring new opportunities for cooperation during this transformative period in China. Creating valuable services for our alumni to continue their professional development in China is an important part of this vision. 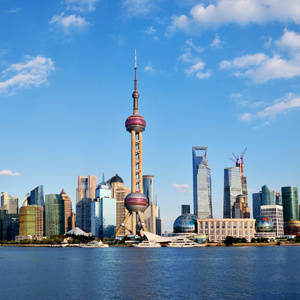 As a symbol of this important mission, we are hosting our very first off-site 30th Anniversary Alumni Event in Shanghai, China!